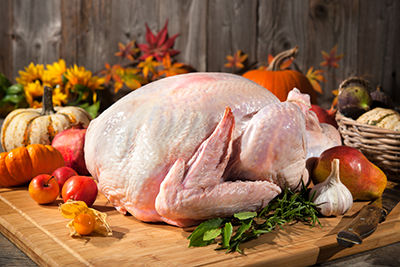 Our turkeys are all natural and pasture raised on our farm. We supplement their diet with 100% non-GMO feed we make fresh here on the farm. They’re always outside and never given antibiotics or growth hormones.